After frolicking about in the hilly jungle, our forest fairy model Shantara descended towards the last ridge of the valley for a refreshment. There are many large and tranquil restaurants on the edge of the Kathmandu valley, often with lawns, huts, and sometimes even swimming pools. They are mostly frequented by young couples looking for a date spot away from their often large extended family's chaperoning gaze. This peaceful spot we found was perfect for showing off some more from our winter collection, this time with more casual styling. This winter we're really into stacking necklaces- mixing different handmade pieces to create a statement piece. 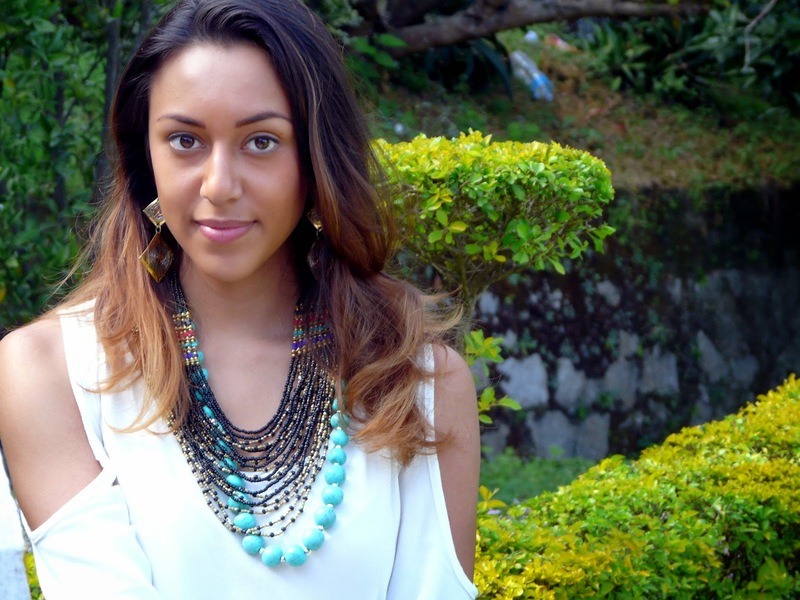 Here, Shantara is wearing a multi-string beaded necklace over a turquoise bead necklace for an opulent bohemian look. She is also wearing hand made brass earrings with intricately woven wire which stand out against her simple dress. 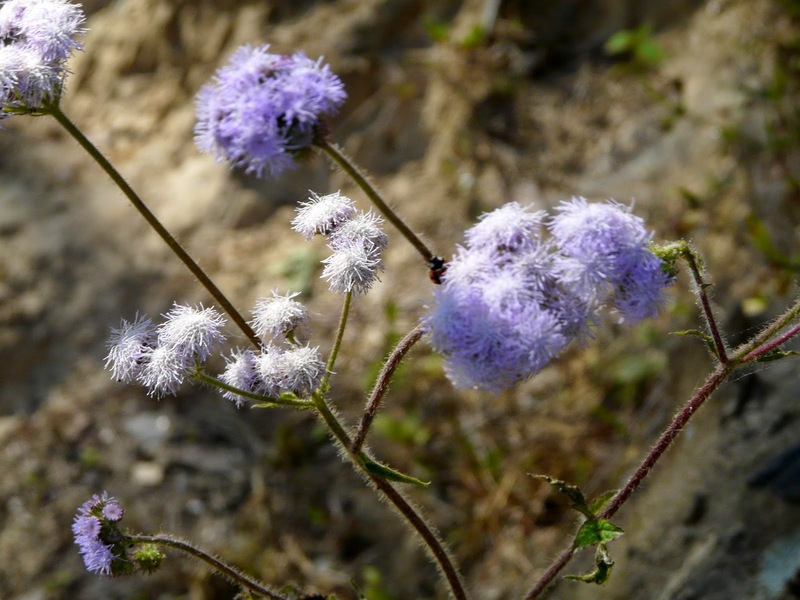 We found no end of beautiful plants around us including these lilac flowers. 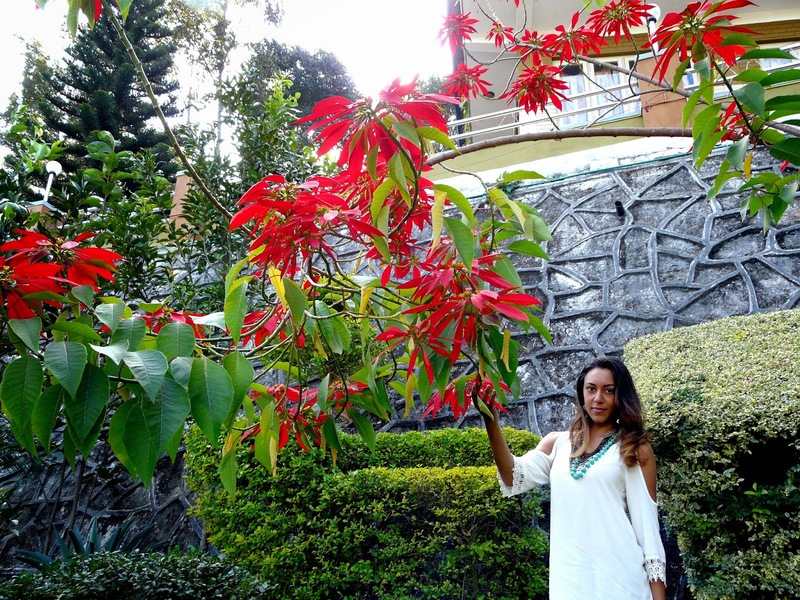 These huge red flowers are all around this November and are just as bold a statement as Shantara's jewelry. 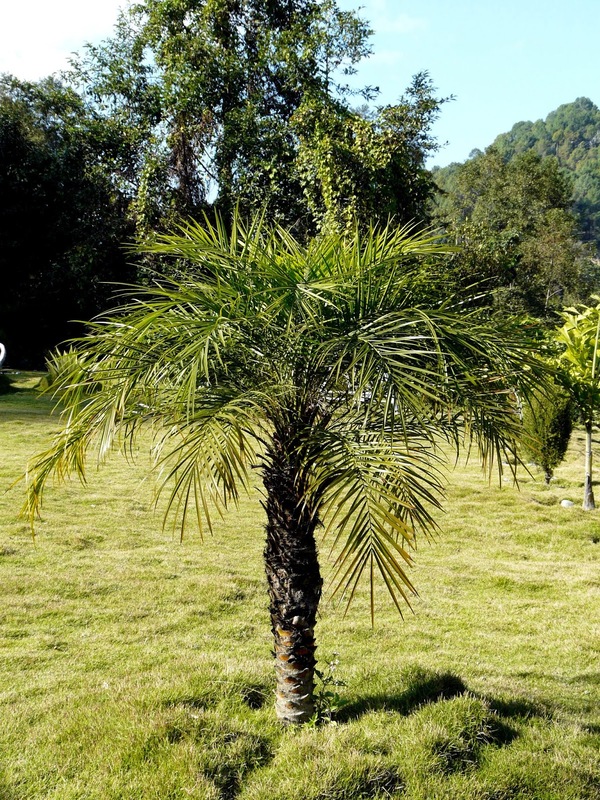 The restaurant also had quaint details like this miniature palm tree. Even though winter is coming, the days are still warm in Nepal and, even where they aren't, we think this striking pink necklace looks great and will brighten up any winter day. More stacked necklaces! This time hand made from recycled buffalo bone. Shantara wore these as she explored this little bamboo thicket and we love the contrast of the statement necklaces with this simple sweater. So that concludes part two of our forest adventure. Which was your favourite look? 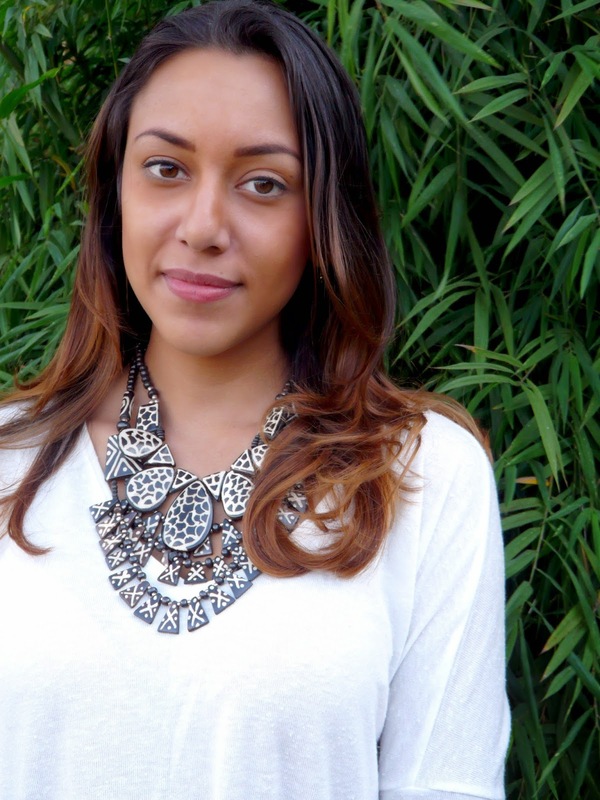 And have you tried stacking statement necklaces yet?